Syria should regulate and restrict the use of force by law enforcement officials as international law requires. Police use of a firearm should only be lawful where necessary to confront an imminent threat of death or serious injury or a grave and proximate threat to life. The Constitution does not guarantee the right to life. The Constitution does not address law enforcement agencies. Law enforcement in Syria is conducted by a range of agencies and bodies. Under Legislative Decree No. 67 of March 1965, the police were considered as part of the Internal Security Forces but operating under the Ministry of the Interior. It is not known if this decree remains in force. On 30 September 2008, the government issued Legislative Decree No. 69, which confers immunity against prosecution to security officials and police officers for crimes committed while on duty. 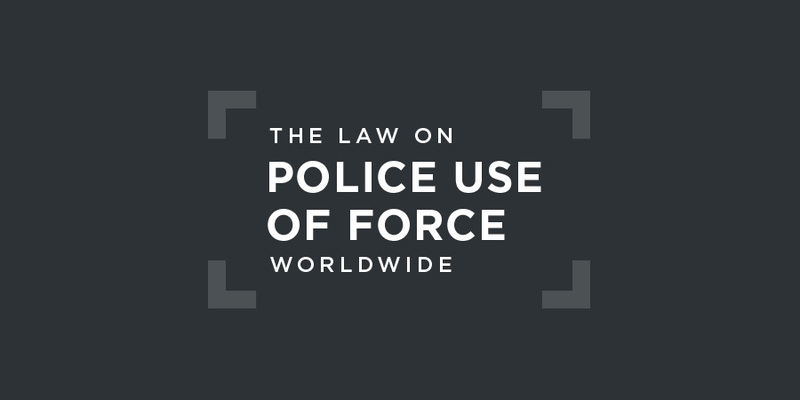 The police and other law enforcement agencies effectively operate in a legal vacuum. There is no independent civilian police oversight body in Syria. Military courts deal with all cases involving members of the armed forces or the police. (e) Enforced and involuntary disappearances. The Independent International Commission of Inquiry on the Syrian Arab Republic was established on 22 August 2011 by the UN Human Rights Council through resolution S-17/1, with a mandate to investigate all alleged violations of international human rights law since March 2011 in Syria. The Commission was also tasked to establish the facts and circumstances that may amount to such violations and of the crimes perpetrated and, where possible, to identify those responsible with a view of ensuring that perpetrators of violations, including those that may constitute crimes against humanity, are held accountable. In its report of 1 February 2018, the Commission reported that for more than six years, it had been independently and impartially documenting serious violations of human rights and international humanitarian law committed by the parties to the conflict in Syria that has claimed the lives of hundreds of thousands. Such violations have driven more than half of the population of the country to leave their homes. From its inception, the conflict was characterized by the utter disregard for the civilians that the parties to the conflict purport to represent and for international law. once again that civilians have not only been the unintentional victims of violence, but have often been deliberately targeted through unlawful means and methods of warfare. Arbitrary arrests, enforced disappearances, torture, and sexual and gender-based violence have all been used against thousands of persons in detention. Vital civilian infrastructure has been decimated by repeated attacks on medical facilities, schools and markets. Humanitarian aid has been instrumentalized as a weapon of war with siege warfare and denial of life-saving assistance used to compel civilian communities and parties to the conflict, alike, to surrender or starve. There is not yet an Arab regional human rights court with jurisdiction over Syria.